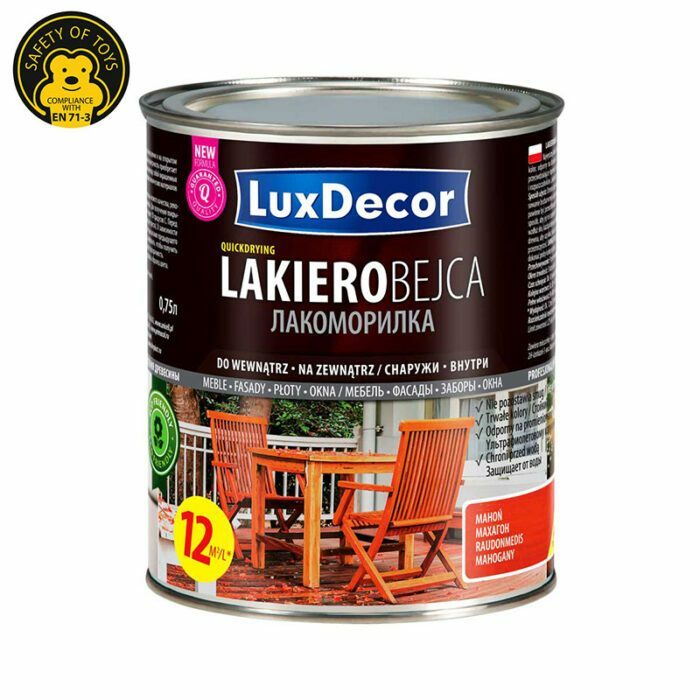 The best quality in decorative and protective stain varnishes for wood, and is intended for indoor and outdoor applications. 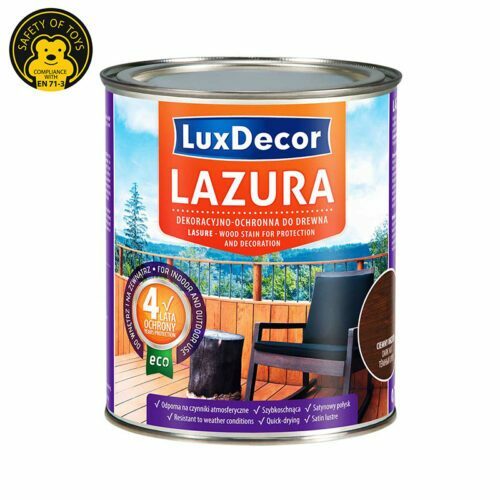 The stain varnish gives a durable colour that is resistant to water and UV radiation. 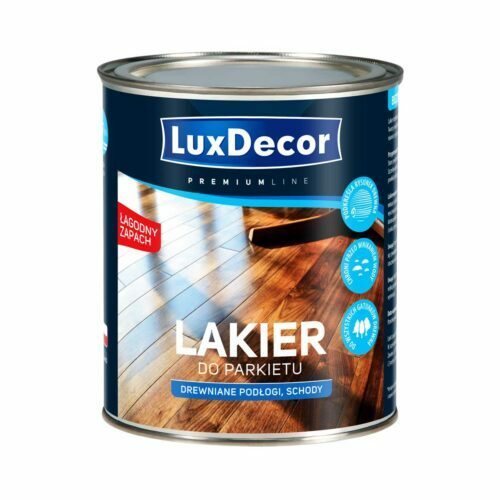 The coated surface develops a gloss which subtly highlights the natural beauty of wood. Contains additives which prevent seizure and bonding (e.g. of windows in winter). Environmentally friendly and water-borne: free of aggressive chemicals and solvents. The stain varnish meets the requirements of PN-EN 71, Safety of Toys. 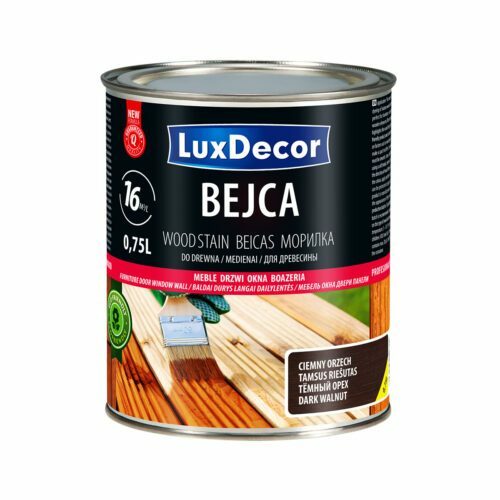 Instructions for use: The wood to be painted should be dry, clean and healthy. 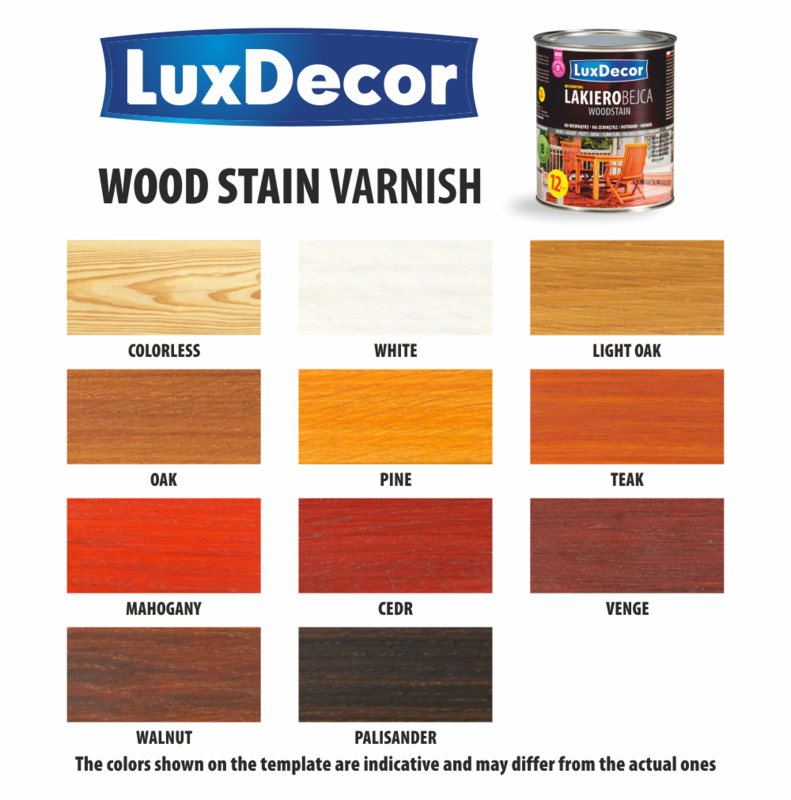 Use a neutral-colour antiseptic agent to preserve poor wood, leave to dry and coat with the stain varnish. Sand down the surfaces to produce better gloss of coating. Work at a minimum of 10oC. Stir the stain varnish well before use, but avoid foaming (do not shake). Apply in 2 to 3 layers, depending on the desired effect. Apply along the growth rings and recoat with the next layer before the previous one completely dries. The surface can be sanded down after applying the first layer to improve smoothness. Applying more layers increases the gloss and colour intensity, but it also increases opacity. Note: The final colour depends on the wood species. Always test the product before coating. Składowanie: Keep at 5 oC to 25oC in the original, sealed container. Keep from freezing.